CustomTech Blog: Scalix is Back! Scalix is back after a restructure of the company following a management buyout. The new Scalix management team includes Andreas Typaldos, CEO, Pascal Lauria, Sales & Marketing VP, Christoph Schmolmueller, Head of R&D. CustomTech has been the Scalix distributor in ANZ since 2004, almost 10 years now! 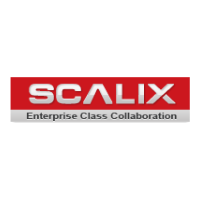 "New Scalix 12.0 alternative to Microsoft Exchange and IBM Notes includes cloud-based email, calendaring, and messaging for companies large and small"